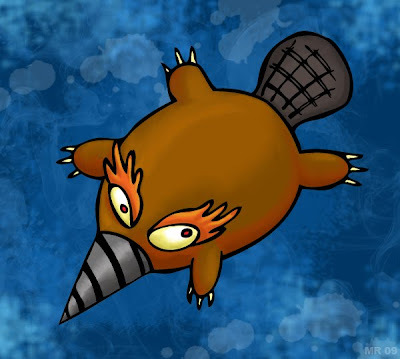 Drill Beavers are a freakish mutation brought about by radioactive pollution and deforestation. The front teeth of the beaver have turned into a rotating drill-like appendage. Not content to merely gnaw down trees, the Drill Beavers reinforce their dams with rocks and concrete. They have been known to cause extensive damage to waterways, sewers, levies, and building foundations.